We are in San Francisco today for the Tizen Developer Conference. 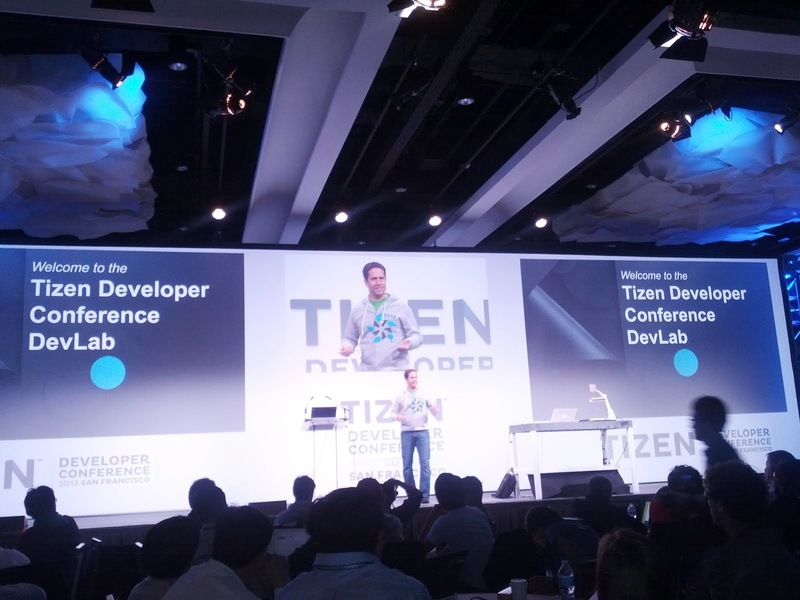 A relatively new mobile OS, Tizen is being developed as an open source OS for phones, tablets and other devices under the guidance of Samsung and Intel. Native apps are developed as HTML5 apps, but there are also a number of companies at the event offering tools and services for porting Android and iOS apps to the platform. It is a bit early to tell, but the conference is doing an excellent job helping us get all the details we look for when deciding if we should develop for a new platform. The latest cloud-enabled versions of Fliq Notes and Fliq Tasks are now available for Barnes & Noble NOOK. The update brings a number of new features, including support for our premium accounts that provide a secure backup, and sync of your notes and tasks across all your supported devices. Access your notes and tasks on your NOOK, as well as on your Android Phone or Tablet, with support for even more devices on the way. To get these updates on your NOOK, just visit the app store on the device, or via the links below. After a brief hiatus for the initial 3.0 release, German and Korean localizations are back in Fliq Notes and Fliq Tasks. We have added both a new language, and a started distribution via a new app store this week! Fliq Notes and Fliq Tasks are now available in Russian, and via the new Yandex Store. Yandex is a powerhouse in Russia, and has been investing heavily in developing their own Android apps, as well as their new Android app store. Their own apps include Yandex Maps, Search, Mail, Weather, Search, Navigator, Disk and more -- 17 in total. Yandex.Store was announced this past February with a starting catalog of over 50,000 applications, and the ability to take payments via bank card or via mobile carrier billing. To get the Yandex.Store application, visit m.store.yandex.com from your Android device. Once installed, you can search for Fliq Notes and Fliq Tasks in the store application. Alternatively, the applications can also be downloaded from Google Play.